As we ring in the New Year tonight, the Metropolitan Museum of Art will be celebrating a few monumental events in the advent of 2009 — one of which is the switch to a new Director, (more on that tomorrow) and the other is the Costume Collection's new partnership with the Brooklyn Museum of Art. 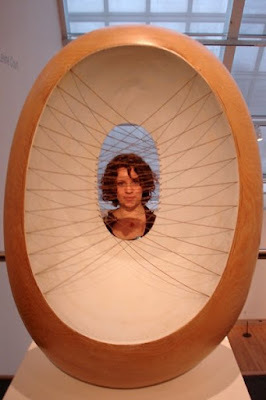 Additionally, I'd like to share this 2008 in Review: People of the Year that I came across on artinfo.com, since it lists Philippe de Montebello, the outgoing Director of the Met. Tonight I took advantage of a seasonal Gallery Talk entitled "In Anticipation of Christmas: Images of Mary." We looked at works by Gerard David, Hieronymus Bosch, and Albrect Dürer. It is important to remember that when these paintings were made, virtually everyone in society was a devout believer (or at last outwardly behaved as such). So the imagery in religious paintings was widely recognized - for example, people would identify the various saints by symbols always used in their portrayal. 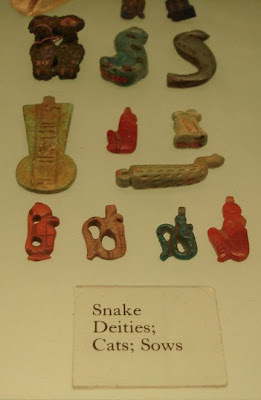 Not only were they used as decoration for the ornate chapels where they were installed, religious paintings were also used as teaching mechanisms, since the majority of the population was illiterate. 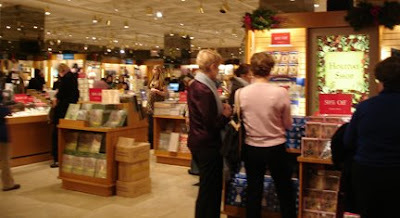 Like any self-respecting shopaholic, I'm a sucker for a sale; so, when it came time to do my Christmas shopping, I was enticed by the big sale signs at The Met Store that I pass everyday. I've frequently perused the contents of this store, with everything classy and artistic that an aficionado could covet. Today I successfully selected gifts for my closest family members that they will hopefully cherish and appreciate. Just popped in for a second to have a salad in the cafeteria. Nothing more to report, really. 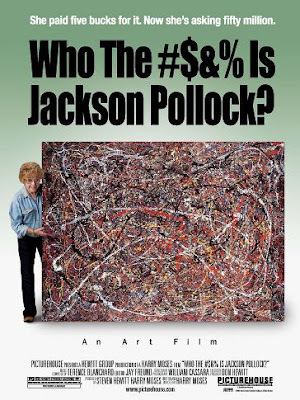 I just watched Who the #$&% is Jackson Pollock? The documentary traces the experience of Teri Horton, a truck driver from California, who purchased a painting of questionable origin at a thrift store. Because of its similarity to Jackson Pollock's painting technique, Horton has sought for many years to authenticate and sell the piece against staggering odds. 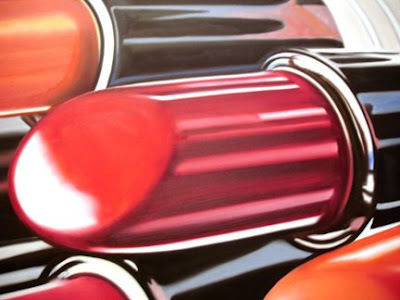 Though glamorous and erudite, the art world comes across as decidedly pompous and condescending to the average citizen. Just about all of the professional art dealers and historians agreed that this painting was not a Jackson Pollock, but Horton was stubborn. She even hired a forensic analyst to authenticate paint samples from the painting compared with paint found on the floor in Pollock's studio. And perhaps most convincing of all, the analyst claims to have identified a fingerprint on the back of the canvas as Pollock's own, as compared with one found on an authentic Pollock painting. Whatever you believe, this film interestingly examines the rift between the Average Joe and the intellectual elite. 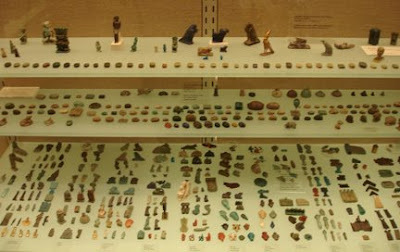 The Egyptian Wing at the Met serves as a major cornerstone of the museum's collection. 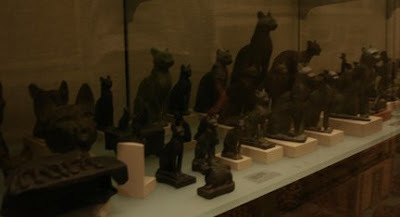 As a world-renowned institution, the Metropolitan Museum of Art was granted the right to excavate the tombs of ancient Egypt in the beginning of the twentieth century. Today's was a typical visit without an agenda but as I stepped into the Great Hall, beautiful music filled the air. It was coming from the Balcony Café above, where a pianist and two violinists entertained diners at the restaurant, as well as all the visitors in the Great Hall's vicinity. I found a spot on a bench on the second floor across from the café, where I could look at the magnificent architecture of the building, down at the people walking in and out and the incredible flower arrangement centerpiece. I wanted nothing more than to sit and listen, so I did. Tonight I treated myself to a glass of wine and an appetizer at Petrie Court Café, located adjacent to the European Sculpture Court. This upscale establishment was expectedly expensive, but I wasn't disappointed. 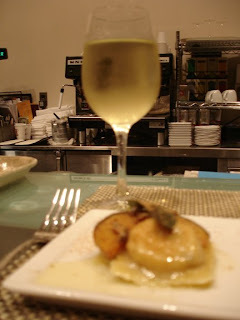 It was a lovely space to enjoy a glass of Chardonnay after a long week — and the pumpkin ravioli was very tasty too! 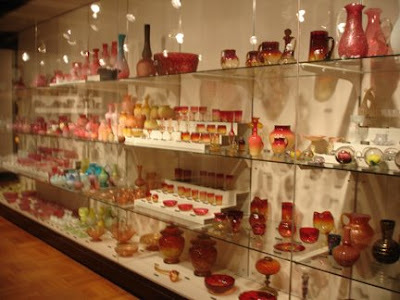 I want to take today's post to highlight my very favorite pieces in the Metropolitan Museum of Art's collection. They hang in the stairwell between the first floor and the mezzanine at the far end of the Modern Art wing. At first glance, I was delighted by their bright colors and their strange subject matter. Then, as I took a closer look, the masterful craftsmanship and stark realism of the forms, with fully saturated hues and invisible brushstrokes, just about floored me. With all the works that reside in the Met, it may come as a surprise that two "Gift Wrapped Dolls" (#23 and #16) by James Rosenquist could capture my fancy so completely — but I never claimed to be normal. Sadly, there isn't a wealth of information on the web about Rosenquist, though I did find this interview with db artmag. I find it fascinating to read the artist's view of their own work and of the world at large. Also, I think it's appropriate to include here another painting by Rosenquist, "House of Fire" (1981), which was fairly recently mounted on the second floor directly above the stairwell with the dolls. Famous for his "Pop Art" collages juxtaposing brightly colored, unrelated everyday subjects, Rosenquist's work just dazzles the eye. 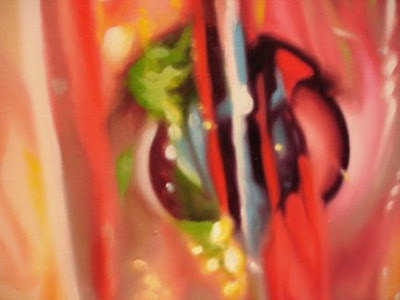 Learn more about Rosenquist at Artsy! The Metropolitan Museum of Art opened an exhibition showcasing jewelry crafted by American artist, Alexander Calder. Although he is known for his large-scale sculptures often in the shapes of mobiles, Calder also created almost 2,000 pieces of jewelry, some of which is now on display at the Met. For more info, read this article from www.reuters.com. As we all know, the Metropolitan Museum of Art is closed on Mondays... so today, I visited the Museum of Modern Art instead. Just 25 blocks south of the Met, MoMA houses great masterpieces from the late 19th-century to the present day. 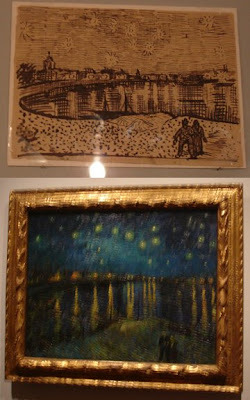 Tonight I had a specific mission in mind: to see the Van Gogh and the Colors of the Night exhibition on the second floor. Though I wasn't overwhelmed, I wasn't disappointed either — it's a tall order in my book to create an exhibition worthy of one of the greatest artists of all time. 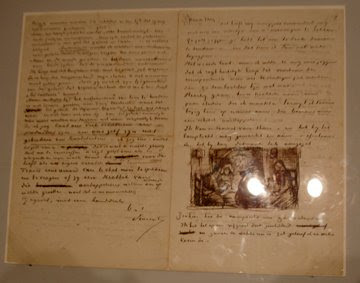 That said, I thoroughly enjoyed Van Gogh's night paintings and, especially, the letters and sketches that accompanied them. 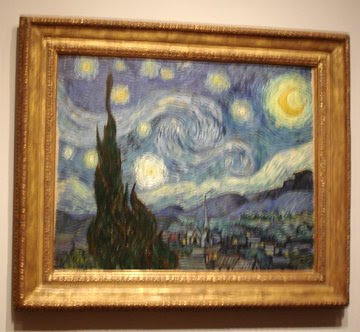 While Starry Night is undoubtedly the most famous, the crown-jewel of MoMA's collection for sure, the most impressive for me was Starry Night Over the Rhone, whose colors shone brightly and vibrantly just around the corner. I was elated to see a sketch for this painting, to see the planning stage up close, in person. Maybe I'm a little strange, but I have a favorite bathroom at The Metropolitan Museum of Art. 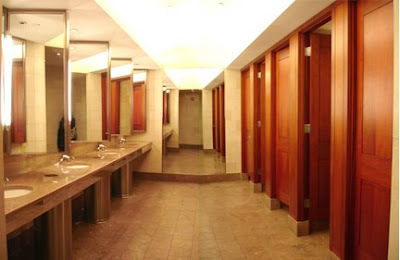 While the staff does a wonderful job keeping all of the bathrooms tidy despite the thousands of daily visitors, the very best restroom is located between the Temple of Dendur and the beginning of the American Wing. Now I can't speak for the men's room, but the ladies' is beautiful. With marble countertops and cherrywood stalls, it looks like it belongs in the Plaza Hotel... Plus, it's a little bit out of the way so it's generally not as crowded as the restroom across from the Grace Rainey Rogers Auditorium in the Egyptian Wing. Though I headed straight to the restroom upon arrival, it was not the sole purpose of my visit. It did, however, lead me to the art works I will discuss today. Just across the entry to the American Wing is a staircase that leads up to The Henry R. Luce Center for the Study of American Art. On Friday and Saturdays, the Met is open until 9pm — definitely an advantage to busy New Yorkers. 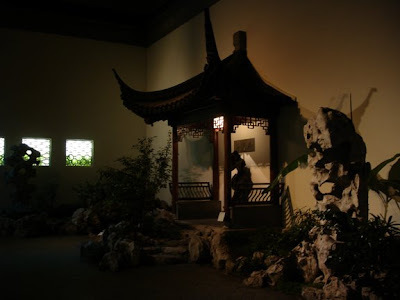 Tonight I just popped in for a nice and quiet visit to the most relaxing space in the Asian Wing — the Chinese Garden, Astor Court. A unique feature of the Asian galleries is the Astor Court, modeled on a Ming dynasty (1368-1644) scholar's courtyard in the Garden of the Master of the Fishing Nets in Suzhou, a city west of Shanghai famous for its garden architecture. 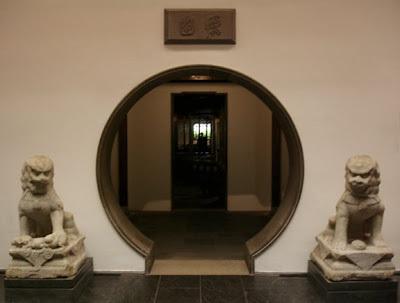 A gift of the Vincent Astor Foundation, the garden court, which opened to the public in 1981, includes an adjoining hall for the Museum's collection of Chinese hardwood furniture. Beautiful during the day, Astor Court is strikingly so at night, when its features are illuminated by the illusion of moonlight and dramatic shadows dance on the walls. The windows, each with a different geometric pattern, shine a brilliant white and the green plants glow behind them. 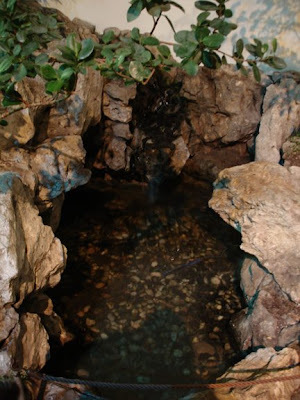 The trickle of a tiny waterfall fills the air with its calming sound and one cannot avoid being transported to a state outside of the frenetic existence that is New York City. Indeed, the plaque over the moongate at the entrance reads: "In Search of Quietude." I think a Friday night is the perfect time to enjoy the peace of Astor Court after a long week. Today, I had the chance to play tour guide for a friend from California, who had never been to the Metropolitan Museum of Art. What a day! We covered a lot of ground, as you will see by the map. My friend Elena joined us about halfway through our visit — coincidentally, she was one of the people with whom I had my very first visit to the Met almost exactly a year ago. 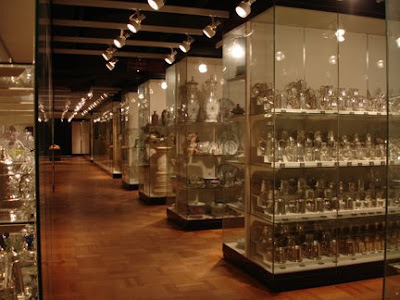 The best thing about showing someone around is pointing out my favorite things, and discovering new spaces as I continue to do in my daily pilgrimage to the museum. We covered a lot of ground, almost every wing, but some of the highlights were Arms and Armor; The Temple of Dendur; the painting of the Palace at Versailles in the American Wing, which spans the circumference of a circular room; African and Oceanic Art, which always remind me of Dr. Seuss' characters; The Modern Art Wing, where we paused to enjoy two landscape paintings that, upon closer examination, actually have words written all over them. Then it was up the flight of stairs at the far end of the wing—where my favorite paintings of dolls wrapped in cellophane by James Rosenquist hang—to the mezzanine gallery with the most awesome Chuck Close self-portrait. Then we trekked through a Raqib Shaw special exhibition, up to the 19th-Century European Paintings wing. There we finished our day by visiting the beautiful Wisteria Dining Room from the Art Nouveau movement. It can be quite exhausting to take an all-encompassing trip to the Metropolitan Museum of Art — but at the end of the day, it's well worth it. 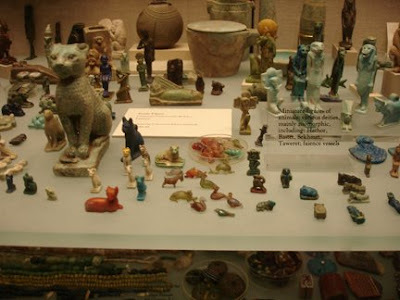 ...An enduring and increasingly hostile debate in the world of art and museums: Who should own the treasures of antiquity? Up to now, the parties on either side of this dispute have stood in opposing corners with their fingers in their ears. The governments of Italy and Turkey have filed lawsuits to force the return of plundered and looted artworks. 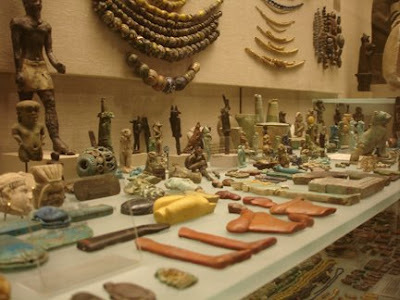 Egypt has threatened to suspend excavation permits if iconic artifacts are not repatriated. Greece has built a new museum in Athens in large part to justify its renewed demands for the return of the Elgin Marbles from Britain. For the most part, the world’s great museums, like the Metropolitan, have responded only when under direct threat and, even then, they do not acknowledge wrongdoing. Definitely an interesting debate. It goes without saying that Met lovers would hate to see the collection reduced by this controversy but, on the other hand, it is unfair and unjust to display works of art that were stolen from their native countries without any compensation or retribution for their cultural history. I'll definitely continue following the Met in the news. For more from the New York Times, which has a beautiful Topics Page on the Metropolitan Museum of Art, follow the link. From the Mixed Up Files of Mrs. 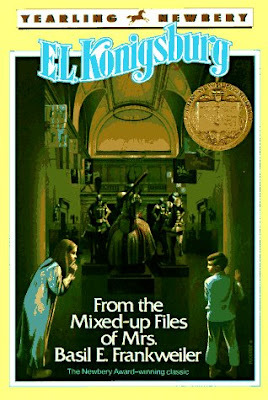 Basil E. Frankweiler is a beloved children's novel by E.L. Konigsburg. The story takes place at the Metropolitan Museum of Art, where a brother and sister go to hide after running away from home. I read the book as a child and never forgot the excitement of a tale about two children living in a museum. 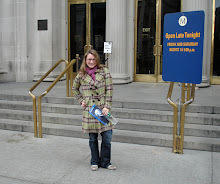 When I moved to New York and revisited the Met, I knew it was time to read the book again. I could just imagine sleeping in one of the beautiful beds in a period room at the Met, or hiding in the bathroom to avoid the guards at the end of the day, or bathing in the fountain and discovering change at the bottom to use for lunches, and then there's the mystery of course — an angel sculpture possibly made by Michelangelo — that the children have made their mission to solve. Re-reading the book rekindled the magic of The Met for me, so much so that I felt compelled to give my copy to a young girl in the park one day. The Metropolitan Museum of Art has even published a "Museum Kids" brochure about the book.